Clone of a famous compressor with dirt section and unique controls. 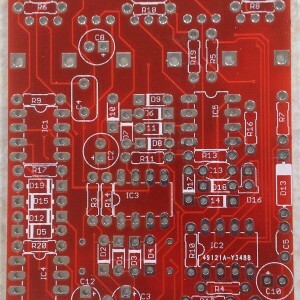 Bought the Dr. Phill v1.1 PCB earlier this year and just completed it. I really do like it. Works great with a couple of caveats . . .
1) With some power supplies, there is a high-pitched whine. I guessed it might be from the charge pump IC (ICL7660), so added a ferrite bead between pin 8 of IC4 (the ICL7660) and R20 (150R). I just left the pin-8 side lead of R20 long and slipped the ferrite bead on there. 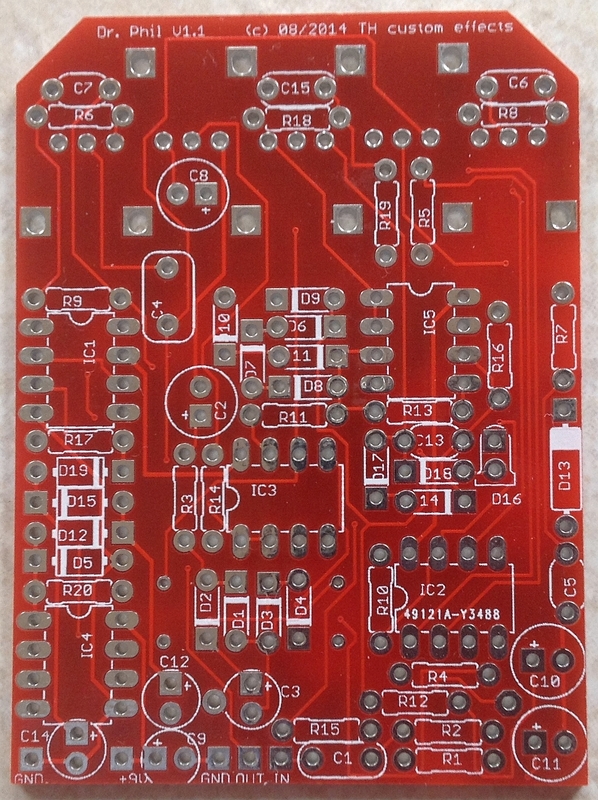 Even though I had to perform a couple of mods to suit my tastes, I still give this PCB 5 stars because it is a well built PCB and over-all great design. Perhaps someone may find this review and mods useful. Thanks for reading.